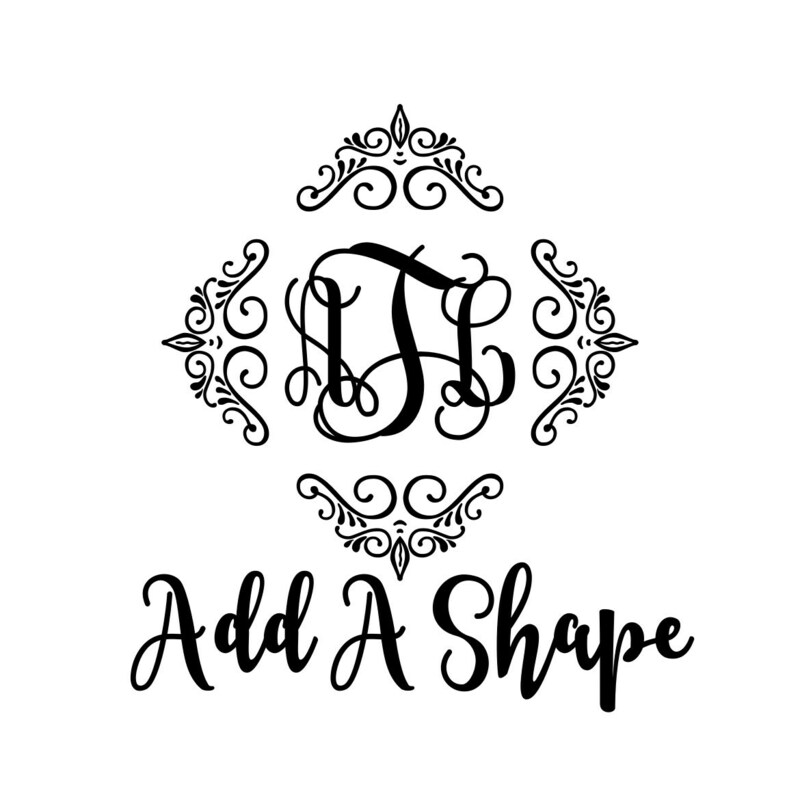 Add up to 2 Shapes to put into your Two-Name Sign Kit. The shapes will be scaled to fit within the boundaries of your purchase. You can select any shape as long as the listing you want has it available as at least an 8" size. If 8" is not a selectable size in the shape you want, it is not an option to Add-on. 1) Search for the shape you want to add to your Two-Name Sign Kit. 2) In that shape's listing, if 8" is a size you can select, then I can use it for this add-on. If you do not see 8" in the size options, then I can not use that shape to cut. You will need to select a different shape. 3) In the 'Two-Name Sign Kit Size' drop down, select the kit size you are purchasing which will correspond to the price of this add on for each shape you wish to add on. 4)In the notes at checkout for THIS listing, put the Name of the Shape and the Number that follows the name that is in the Title of the listing. If you are selecting Quantity 2, make sure to give me the Name and Number of BOTH shapes in the notes. When I am designing the names for you, I will scale this shape (these shapes...if you select 2) appropriately for placement within your Sign. LOVE my daughters sign for her room! Shop owner replies promptly, and shipping was fast! I would definitely recommend! !